In Episode 239, Germar begs you to come back, click, share, listen. 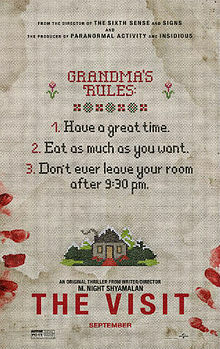 But the episode is really about M. Night's The Visit (14 min. )and episode three of Fear the Walking Dead. Hear about comedy, horror, twists, stupidity, tensions, and race. But first, Germar explains why the site is so bare--four moves in a month, jobs, and heartbreak (kinda). Just listen--it's an almost average episode.